Making mistakes is tough on one’s self image and essential to one’s self transformation. Mistakes are a part of everyday life. When we “brand” ourselves too brilliantly there isn’t any room for “failure” in the images we project of ourselves out into the world. Back in the day this was called “Keeping up with the Joneses.” Now we have to “hack” into our selfie-array just to get a handle a more realistic, three dimensional self-portrait of who we believe ourselves to be. This isn’t easy going. Humility at the hands of failure isn’t something any of us goes out seeking. But it is a fundamental reality. When we fall we learn how to get back up. The new normal of our working lives requires plenty of getting back up. 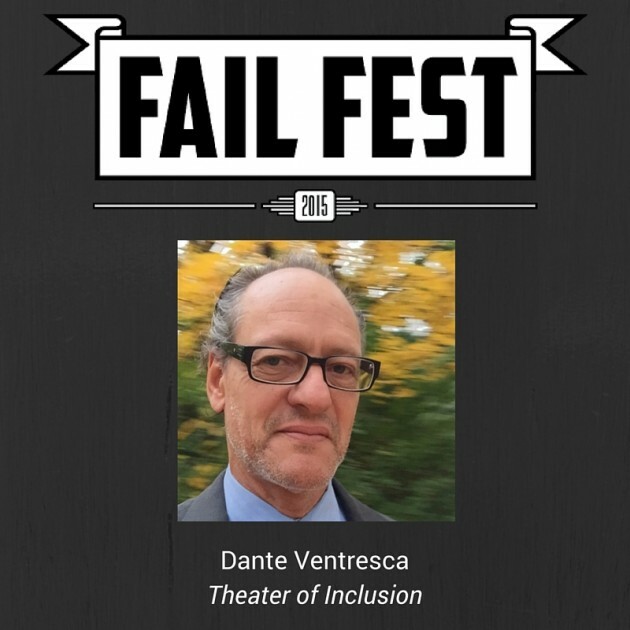 I’ll be speaking about my own failures and my own getting back ups at Fail Fest this Wednesday, December 9, 2015, 10:00 a.m. at the Indy Metro Airport inside the Tom Wood Aviation Hanger. The presentation will be live-streamed to area schools.